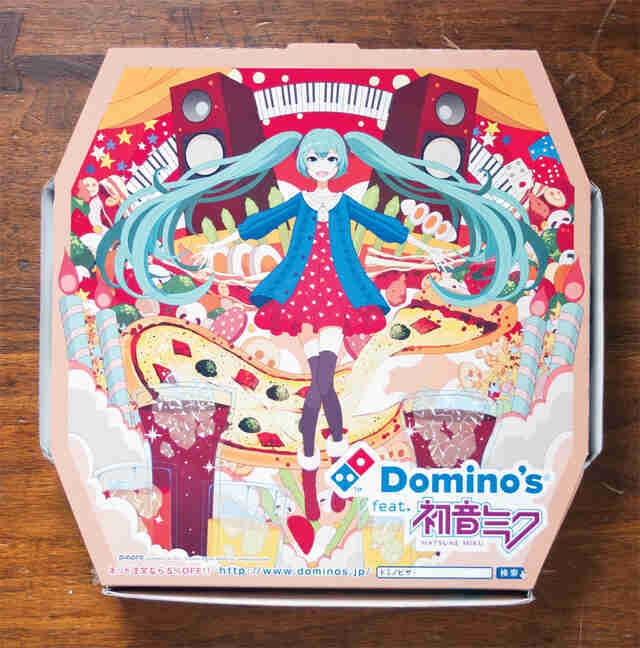 The Backstory: Domino's Japan featured "a singing synthesizer application with a humanoid persona" named Hatsune Miku on their boxes in March 2013. And if you downloaded a free app, you could "manipulate" the twee character to make it look like she was "performing" on top of the box. Knowing Japan, Hatsune body pillows went on sale shortly after. 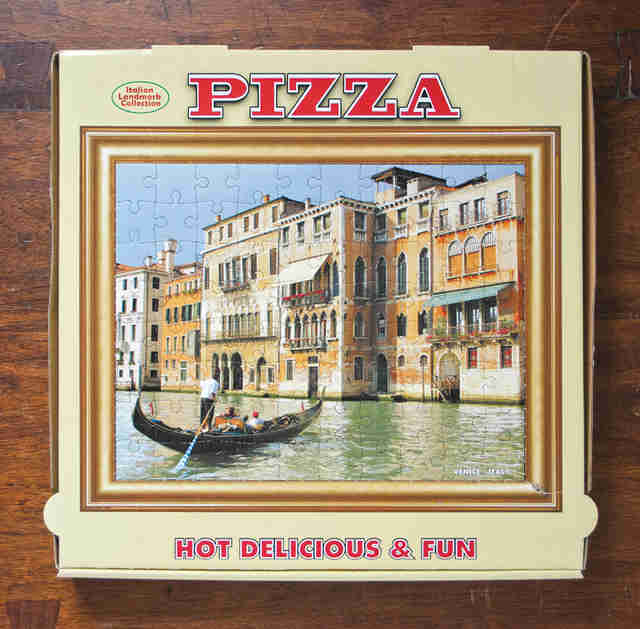 The Backstory: This 80-piece puzzle would've given you something fun to do after devouring an entire pizza, but the company that made them (PackToy) went of business, so now you're stuck with 600 channels of TV and GTA 5. 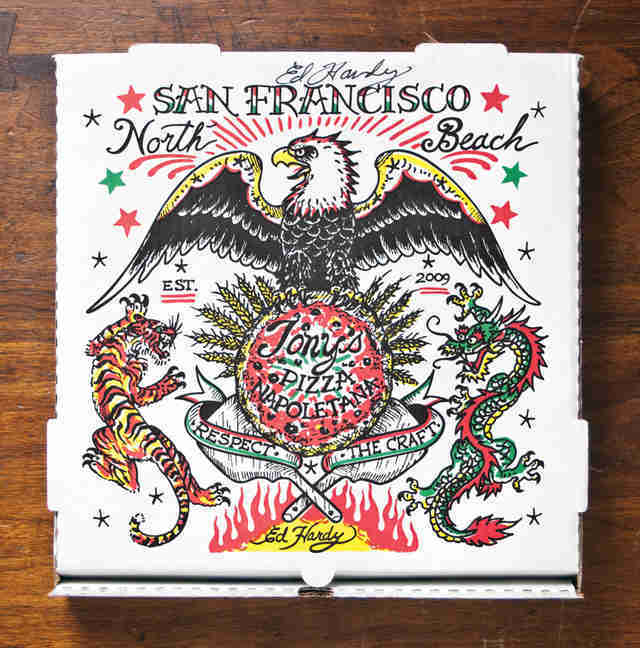 The Backstory: Beloved SF pie shop Tony's Pizza made 10000 of these boxes designed by Ed Hardy, and sold them for $3 extra, with all the proceeds going to charity. 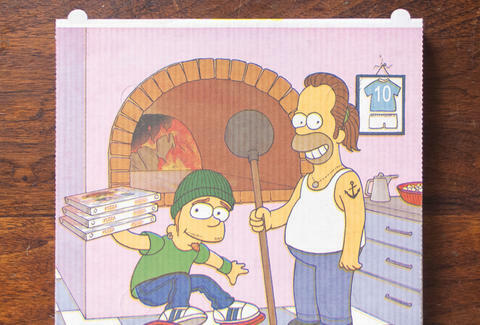 The Backstory: Matt Groening might have a cow if he saw this knockoff that kept some Netherlands pie temporarily warm. 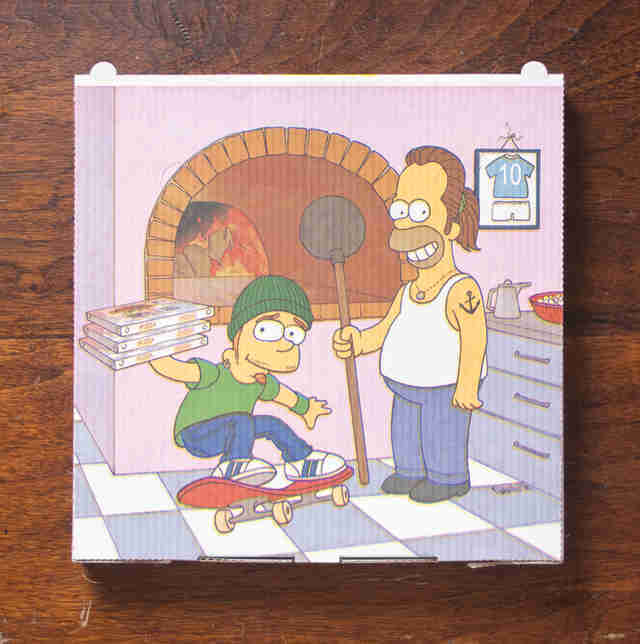 The Backstory: Roma, a company that supplies Italian restaurants with everything from cheese to the box the pizza comes in, came out with this design in 1996. 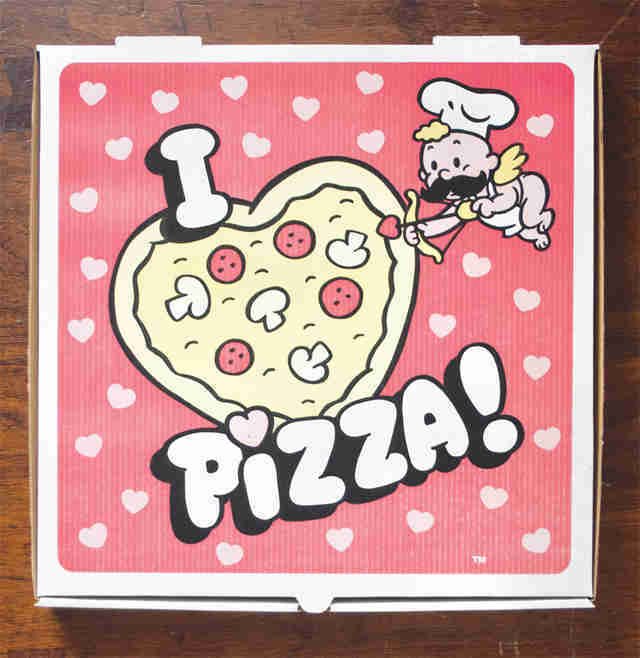 This box not only expresses fondness for pizza, it also implies that babies can grow bushy mustaches. Lee Breslouer writes about food and drink for Thrillist, and weighs about the same as he did in high school. Follow him on Twitter @LeeBreslouer, because you can't make a name that good up.